Fill out the form to receive the link via email. During this webinar, Candy Tefertiller will share the current state of the evidence surrounding the use of advanced technologies in neurologic rehabilitation. At the conclusion of the webinar, participants will be able to discuss a variety of technologies currently utilized in neurologic rehabilitation and their potential benefits and limitations. This webinar examines various perspectives of medical professionals, patients, and payors, when implementing rehabilitation technology in neurologic rehabilitation. 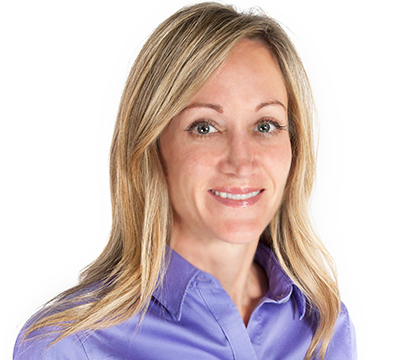 Candy Tefertiller, PT, DPT, NCS, is the Director of Physical Therapy. Candy received a B.S in Biology from Mount Olive College in 1997 and a Master's in Physical Therapy from East Carolina University in 2000. Candy has been working in the field of neurological rehabilitation since 2000 and received an assistive technology practitioner (ATP) certification in 2005 and became a certified neurological clinical specialist (NCS) in 2007. Candy then received a Doctorate of Physical Therapy degree from Rocky Mountain Health Care University in 2008. She has been involved in numerous research projects and has focused much of her career on interventions and program development promoting recovery after neurologic injury or disease. Candy is a member of the American Physical Therapy Association and the Neurologic Section.